Have your kids ever asked you "Dad, how do you spell my name?" or "Mom, what letters are in your name?" Of course they have! Pretty much every parent hears these questions sooner or later. There are loads of kids who can't yet read, but still really want to know the letters that spell their name. 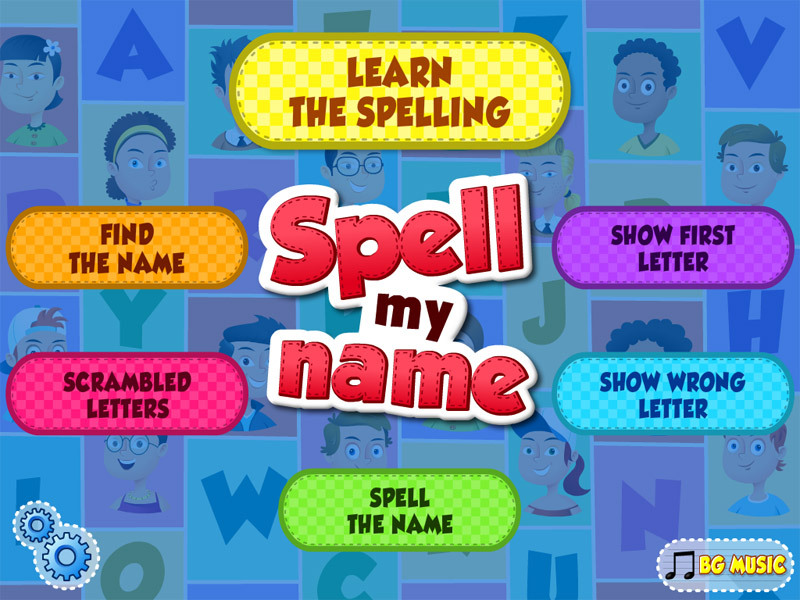 If your kids are curious to learn all about letters, the app "Spell My name" is a perfect choice! 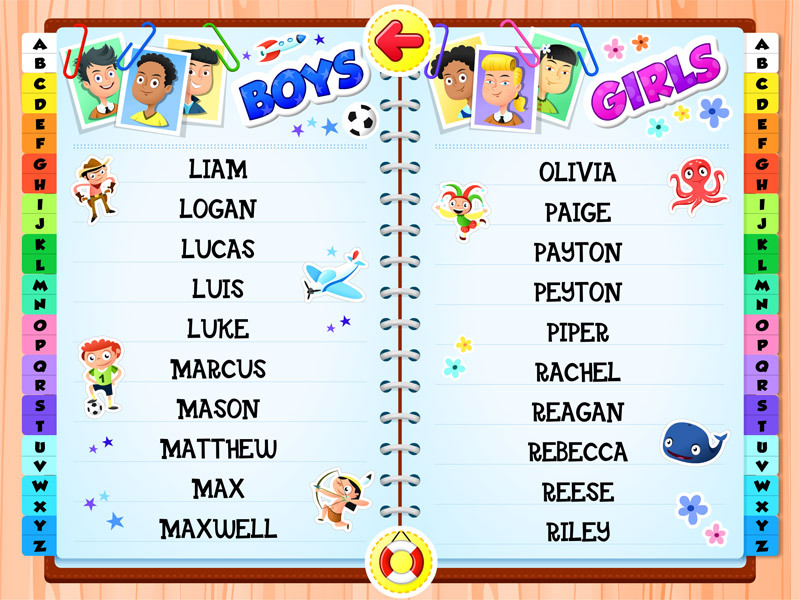 This app for iPad contains the 300 most common American names (150 boys' names and 150 girls' names) including spelling and pronunciation. 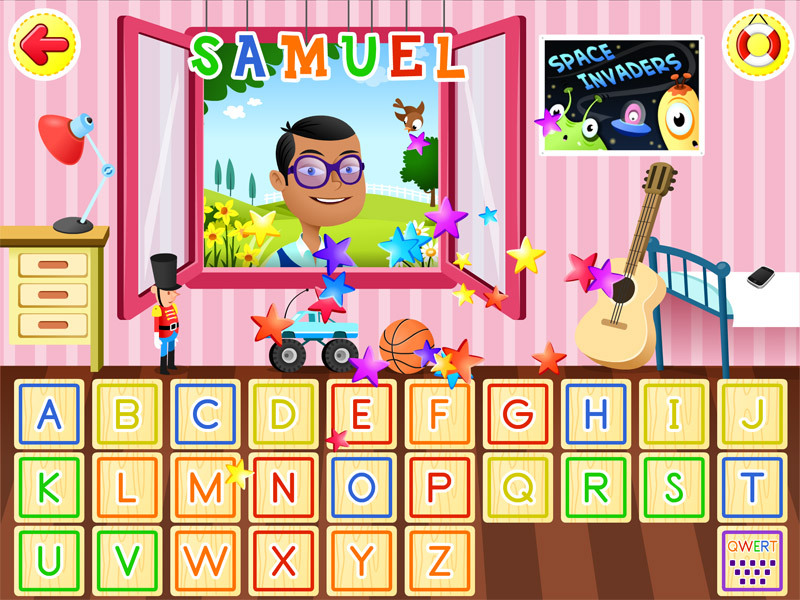 The app stars 300 virtual kids who introduce themselves, show their whole name, and then help children spell out the letters of the name one by one on the keyboard. 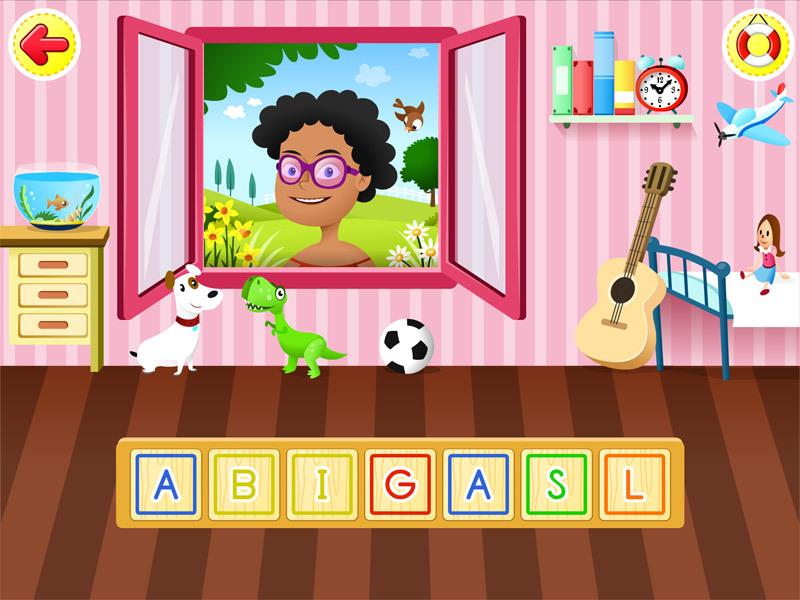 It's a simple, natural way of learning – a perfect way of helping children to fix the letters of the alphabet in their mind and remember how names are spelled. If your child's name isn't in the list of the 300 most common American names, you can add it yourself. Just type in the name and record the pronunciation – you can add 4 user names, each with a maximum of 11 letters. The app checks how users are doing and praises them for correct answers. This positive feedback supports children's natural desire to play and learn new things. The games do not show the user's score, and there are no time limits – so your kids can play and learn at their own speed. Three kids introduce themselves: which is the first letter of all three names? One of the letters in the name is wrong – show which one it is. Listen to the name and spell it correctly, letter by letter. The letters in the name are all scrambled up, and you have to put them in the right order to spell the name. 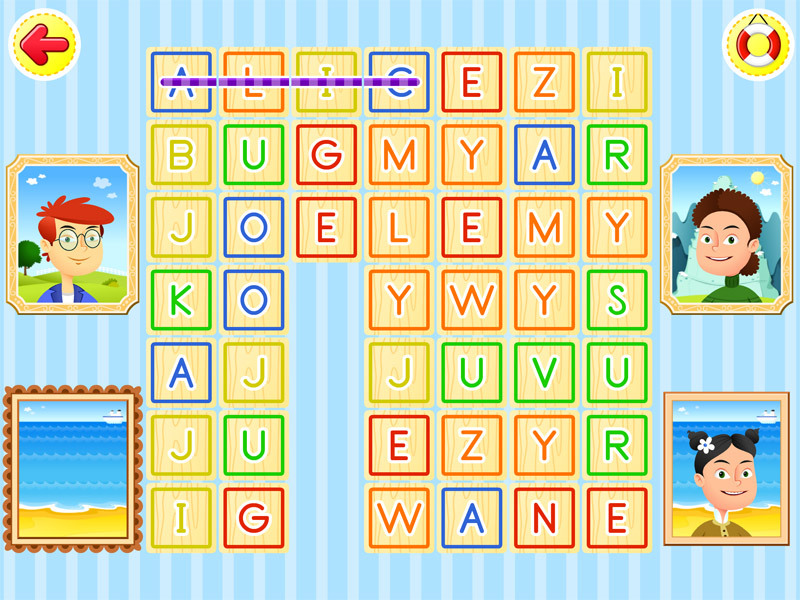 Find the names of 4 kids in the grid of letters.